Colourful necklace with raw stones for the victorious. 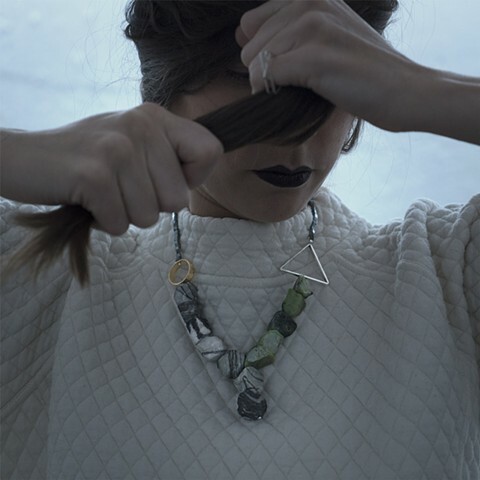 Made with raw Chrysoprase, Picasso Jaspis, Hematite and geometric details in silver and gold-plated brass. Triangle upward: fire, power, success. Circle: sun, moon, infiniteness, life.